There are a number of health problems that might lead your vet to suggest or even prescribe a low sodium diet. 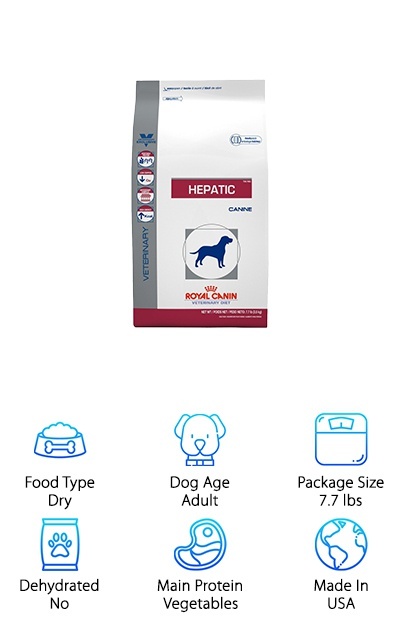 Finding out your dog is unwell is a difficult thing to face, so to help you find the best diet, we researched a variety of low sodium dog food brands. Then, we put together a top 10 list of the best we found. Before we get started, let’s take a look at the things you need to know when shopping. Food Type - There’s actually a bit of variety here, which is great because it means your dog’s restricted diet doesn’t need to be boring! You’ll find both wet and dry foods as well as a number of healthy treats. Dog Age - These foods are all for adult dogs, though seniors can benefit from them, too. Some of the treats are okay for puppies, too, but generally, you don’t need to worry about sodium intake with younger dogs. Package Size - This varies a lot. You’ll find large and small bags of dry food and multipacks of wet food here. We also included some treats that come in bags of more than 200 and in bulk sized multipacks! Dehydrated - There are no dehydrated foods here, mostly because rehydrating them can have an effect on sodium levels. There are some dog treats that are dehydrated but those are meant to be served as is, no rehydration needed. Main Protein - So many different proteins! Chicken is an expected protein in dog food, but what isn’t expected? Whitefish. Peanut butter. Vegetable proteins. You’ll find some variety, but no red meat because it’s typically avoided in low sodium diets. Made In - With one exception, all of these special dog foods are made in the USA. There is one that comes directly from Canada. Check with the manufacturer if you’re worried about where each ingredient is sourced. 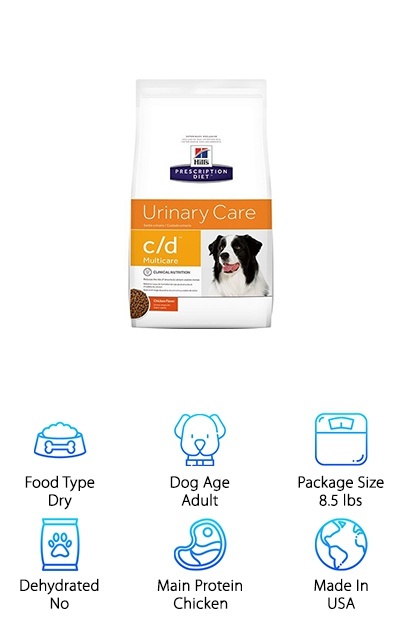 Consult with your vet if you think your dog requires a special dog food. 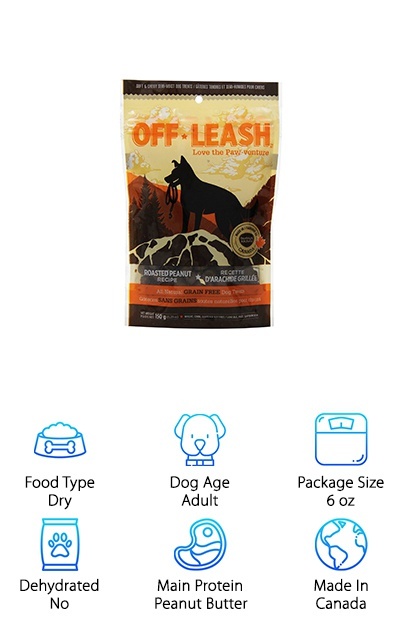 Now, since you know a little more about what to look for when buying the best low sodium dog food, we can into our reviews. If you’re in a hurry, check out the first 2 items, our top pick, and budget pick. They’ll give you a better idea of what’s out there. Keep reading to see what products round out our list. All right, let’s get to it! Dogs are supposed to run and play and enjoy just being a dog. Unfortunately, when your pup has heart problems, that’s not always easy to do. 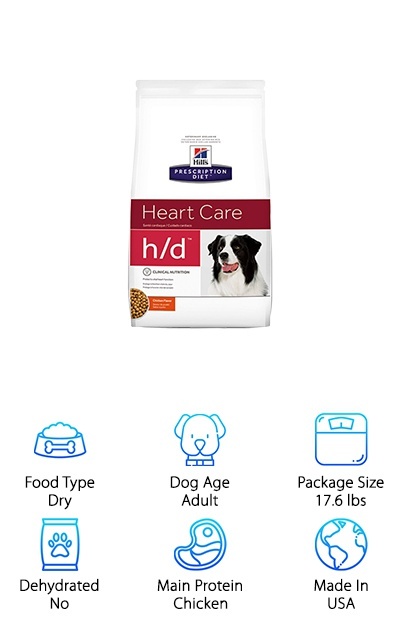 This special formula from Hill’s Prescription Diet was developed by nutritionists and vets to help improve the lifestyle of dogs with cardiac issues. It helps keep your dog’s blood pressure stay normal and minimizes any fluid retention. Sometimes, dogs who have cardiac issues are also on medicine that helps them eliminate excess fluid. This food also helps replenish any nutrients that they may lose from these medications. There’s also plenty of antioxidants to keep their immune system healthy. One really important thing we have to mention is that your do need a prescription from you vet to purchase this food. Dogs who are on low sodium diets need treats like any other dog! You always have to make sure not to give your pup too many treats. But you have to be really careful when they have dietary restrictions. Each of these treats only has 4 calories. They’re grain, corn, wheat, and soy free and great for dogs on low sodium diets. Here’s the deal. Peanut butter is a treat that most dogs love but it has a lot of fat and calories. This is a great alternative to giving your pup peanut butter. And believe us when we say you’ll realize that the second you open the bag. It smells like roasted peanuts and happiness. This is a great treat to use as a treat for special occasions. If your dog is on a low sodium diet, chances are they’re on medication. And any dog owner knows it’s not always easy to get your pup to take his pills. Hiding it in lunch meats or peanut butter isn’t always an option if you’re watching your dog’s sodium levels carefully. That’s where Greenies Pill Pockets comes in. It’s a low fat, low sodium alternative to any human food you’d use to hide the pill. 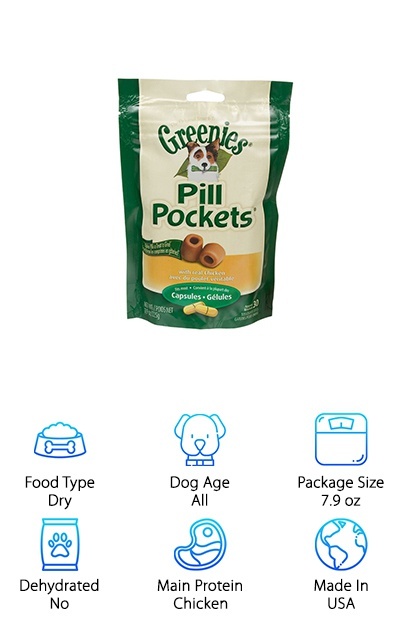 They’re super simple to use, too, just fill the little pocket with the pill or liquid medicine, pinch it closed, and your dog will think he’s getting a delicious chicken flavored snack. And get this: it’s mess-free. No finding pills that your dog spat out, no liquid medicine on the floor or in your dog’s fur. This recipe from Zignature is naturally low in sodium and your dog will love the taste. 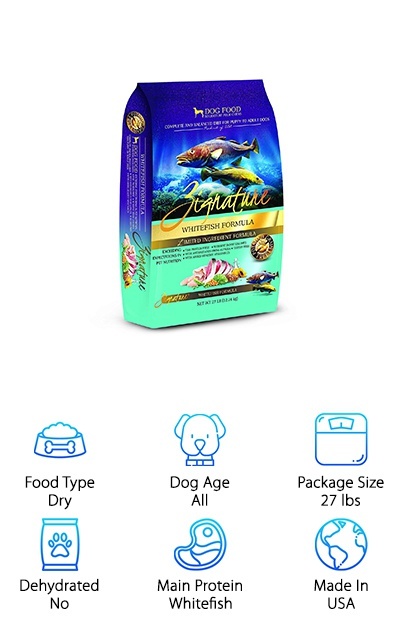 Whitefish isn’t a flavor we see very often so if your dog can’t or won’t eat any of the more common proteins, they just might love this one. And get this: the whitefish is sourced from the Pacific waters off of Oregon, Washington, and Alaska. It’s always nice to know exactly where the ingredients are coming from! That’s not all. Your dog will also get healthy vegetables and legumes for dense nutrients and fruits to give him the antioxidants he needs to stay healthy. In addition to being low sodium, this food is also made with limited ingredients. What does that mean? It’s great for dogs with food sensitivities or allergies. Some older dogs develop chronic kidney disease (CKD) and one of the necessary diet changes is a low sodium diet. Nutrition is actually a huge factor in treating a lot of signs of aging, including cognitive decline and decreased mobility. 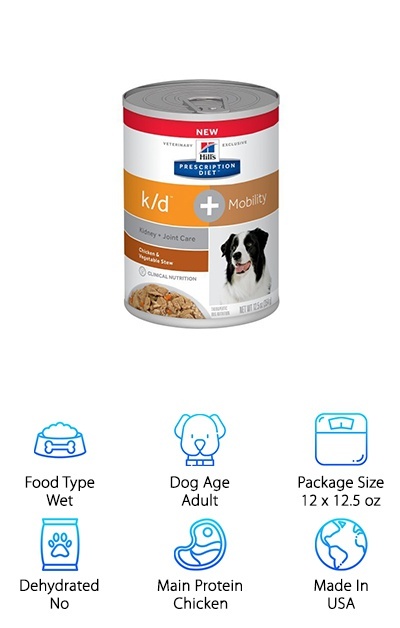 Hill’s Prescription Diet k/d + Mobility is a low sodium canned dog food designed to for dogs with CKD. It was formulated by nutritionists and veterinarians to support a low sodium diet and to help improve mobility and alertness. Plus, the omega-3 fatty acids and glucosamine and chondroitin are meant to improve joint function to help keep older dogs mobile. Talk to your vet if you think this food would benefit your dog. This low sodium wet dog food is only available with a prescription. If you’re looking for a gluten-free, grain-free, wheat-free treat with no filler, no preservatives, no hormones, and - most importantly - no sodium, well, here they are. 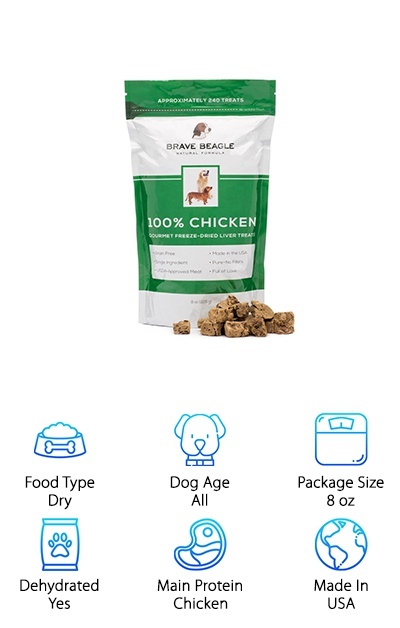 Brave Beagle’s All Natural Chicken Dog Treats make a tasty reward for any dog, especially those on low sodium diets. What’s in it? Get this - it has one ingredient. USDA inspected, hormone free dehydrated chicken liver. That’s it. No fillers. No preservatives. Your dog will love the smell and the taste. You’ll love it because it’s so convenient - it comes in a resealable bag and doesn’t require any kind of preparation at all. And there are about 240 treats in every bag! If you’re not sure, this might seal the deal: if you’re not happy with it, they’ll even give you your money back. These Full Life Turkey Slices are a nice treat that uses high-quality protein as the main ingredient. No fillers, no by-products. There are only 6 ingredients in this recipe, including turkey, tapioca, and flaxseed oil. Turkey, obviously, is the main one. And get this: the turkeys they use are raised in the USA. That’s not all. They’re prepared in a licensed, FDA inspected plant under the supervision of food scientists. While they are pre-cooked, they do retain some moisture. This lets them keep some chewiness so your dog will love them. Because these are made of real meat, your dog won’t be able to resist the flavor or smell of these treats. One last thing. There’s also added omega-3 and 6 for an extra antioxidant boost. 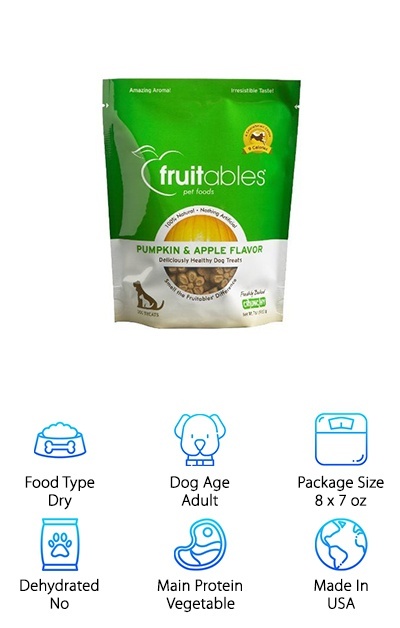 These Fruitables treats were inspired by baked apples and you and your dog will be able to smell the deliciousness. The bake them in ovens in their organic bakery and, in addition to apples, they add some pumpkin, cinnamon, vanilla, and barley to the mix. 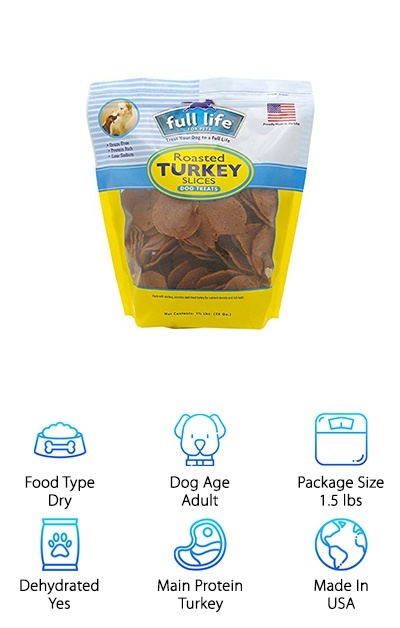 These treats are under 9 calories and are a great way to treat any dog that’s trying to maintain an ideal weight. There’s no protein, no dairy, and no dairy in these treats. But there are a lot of fresh fruits and veggies. What does that mean? They’re high in antioxidants and vitamins and have a good amount of fiber. These are a crunchy, delicious treat that your dog will love. They’re perfect for using as a daily treat or a special reward. If your dog is prone to bladder stones, check this out. Bladder stones can be very painful and lead to more serious problems so if you think your dog might have them, make sure you consult your vet. This food was developed by Hill’s team of nutritionists and veterinarians. It was formulated to reduce the risk of these stones. How does it work? It was designed to dissolve and reduce the risk of stones forming. This low sodium dog food will also help keep your dog at an optimal weight. It has all the perks of a well-rounded dog food, too, including antioxidants and omega-3 fatty acids. And one more thing we have to mention. Make sure you talk to your vet first. This dog food requires a prescription. If your dog has liver problems, keeping him on a low sodium diet is one of the things you’ll need to start doing to help him stay well. What’s interesting about this food is that they use vegetable proteins. That combined with easy to digest carbs helps with the effects of the effects that the liver problems are having on your dog. There’s also an increased amount of omega-3 fatty acids to help reduce inflammation throughout your dog’s system. But that’s not all. It actually tastes good. Your dog won’t mind that there are no meat proteins. He’ll get all the necessary nutrients he needs to feel better and have a healthy immune system. Just a head’s up: you’ll need a prescription from a vet for this one, too.